Heavy duty, industrial quality, 3-pin mains plug with an impact resistant, rubberised construction, strain relief and sleeved pins. 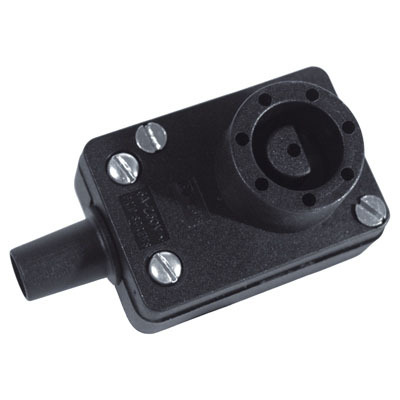 The plugs carry ASTA approvals and are manufactured to BS1363/A. Bulgin 250V 6A AC 8 Pin Line Plug commonly used in disco light screens, and display equipment. Electrical Quick Test Block with 1.5 m Lead. 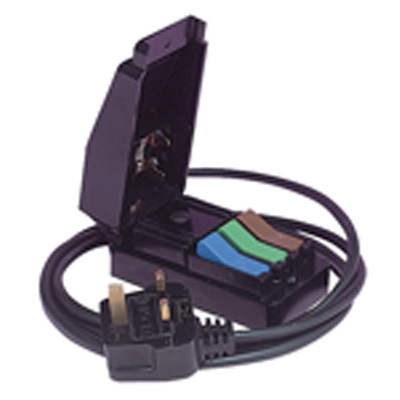 A quick and convenient method of connecting flexible leads to the AC mains temporarily. Tough plastic case with colour coded keys and 13 A fuse. Free standing or bench mounting. Fitted with a 1.5 m lead and a UK plug, fused at 5 A. Supplied boxed. Bulgin 6A 8 Pin Chassis Plug common use in disco light screens, and display equipment. 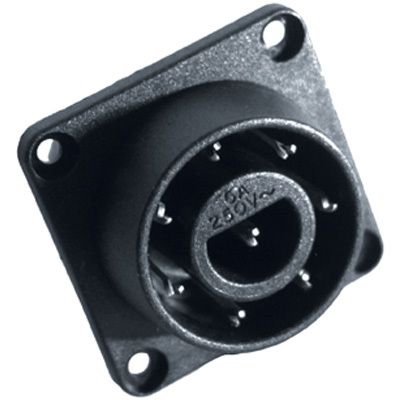 Black 6A 8 Pin Bulgin Line Socket With Cable Protector commonly used in disco light screens, and display equipment.